Coeur d'Alene, Kellogg, Post Falls, St. Mary's, Sandpoint and many other North Idaho towns are filled with activities for both Summer and Winter fun. Coeur d'Alene, The City by the Lake is the “Heart of North Idaho” and the gateway to a region full of scenic places and exciting things to see and do. There is fun for all ages on the wonderful lakes and rivers throughout North Idaho. Recreational boating, sailing, kayaking and canoeing, white water rafting, water skiing, wake boarding, parasailing, or personal watercraft can be enjoyed in all of our fantastic water playgrounds! Ride the trails among our amazing mountains and meadows. 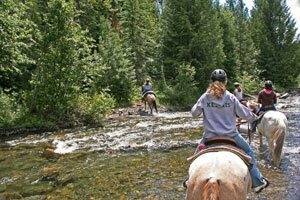 Contact Western Pleasure Guest Ranch in Sandpoint or Rider Ranch in the Coeur d’ Alene area, for your personal western cowboy experience. Western Pleasure Guest Ranch in Sandpoint. Rider Ranch in Coeur d' Alene area. 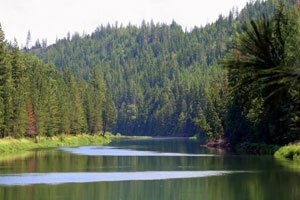 Enthusiasts can enjoy hundreds of miles of trails and wildernessthroughout North Idaho. Tubbs Hill, Mineral Ridge, Centennial Trail, Trail of the Coeur d’Alene, Selkirk Loop and Hiawatha Trail to name a few. 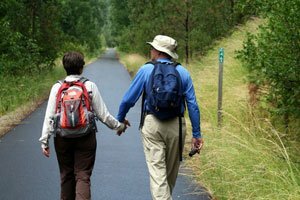 All of our B&B’s can assist you in finding just the right hiking or biking trail to enjoy while you are visiting us. North Idaho offers many opportunities for visitors to experience theatre, music and the arts. Sandpoint and Coeur d’Alene both have regular “Art Walks” during the summer months. Enjoy the Artists Studio Tour of North Idaho in August. Most of the North Idaho towns offer free summer concert- in- the- park series. The Coeur d’Alene Symphony, Opera Plus Coeur d’Alene, and the Festival at Sandpoint are all popular yearly music attractions. 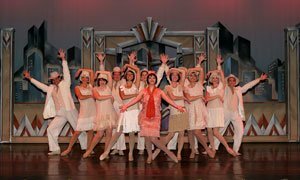 Some of the theatre opportunities are Bonners Ferry Summer Youth Theatre, Coeur d’Alene Summer Theatre, Lake City Playhouse (Coeur d’Alene), Sixth Street Melodrama (Wallace), and The Panida Theatre in Sandpoint. North Idaho has 3 incredible parks for thrill seekers of all ages! 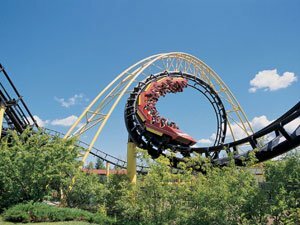 Silverwood is the Pacific Northwest’s premier theme park. From “Tremors,” the amazing rollercoaster that actually goes underground, to Boulder Beach, the fantastic water park, there are days of fun that await you here! Discount tickets are available through our membership, so be sure to ask for your “Silverwood Package.” Triple Play has an indoor water park, go-carts, putt-putt and bumper boats. North Idaho is an angler’s paradise. 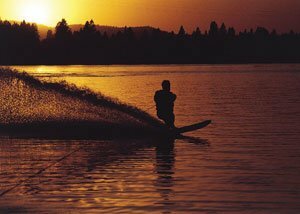 Lake Coeur d’Alene is known for its kokanee and chinook salmon, large and small mouth bass, northern pike, rainbow trout and mackinaw. Rainbow and lake trout, small and large mouth bass and whitefish are plentiful on Lake Pend Orielle. 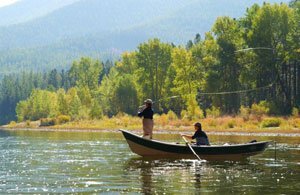 The Kootenai River, Pend Orielle River, St. Joe and St. Maries rivers offer excellent fishing experiences. There are many local fishing guides and tours that we would recommend. Please ask you host for specific information and they would be happy to put you in touch with the right guide for you. 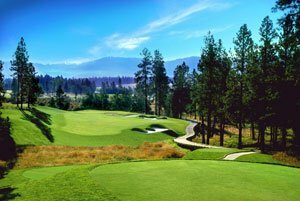 North Idaho is golf nirvana! Forty eight scenic courses populate our small region. The crown jewel is The Coeur d’ Alene Resort Golf Course with its famous floating green. Our B&B’s offer discounts to many of the courses including Twin Lakes and Circling Raven. The temperature is great, the greens are like velvet, the views are spectacular, the sun shines late into the evening, who could ask for more? There is no better way to experience the wonders of North Idaho than from the open road by car or seated on a two wheel vehicle. Your B&B host has lots of information about the wonderful scenic drives in the area. We have so many wonderful, fun events and activities in our beautiful area to keep you entertained and amused. Local Farmers Markets abound in our small communities. Car d’ Alene (Coeur d’Alene) and Lost in the 50’s (Sandpoint) are the best of times for car enthusiasts! Entire weekends are filled with of parades, auctions, and beautiful cars. Call any B & B member for this year’s dates and reservations. Art on the Green in Coeur d’Alene is the areas largest arts and crafts event. What started out many years ago as a celebration of the arts on the small community college grounds, now occupies most of the entire downtown. The college area hosts music and art, the city park is full of crafters, and Taste of Coeur d’Alene, showcases a vast array of eateries from all over the area. The Street Fair continues down “main street” where crafters and downtown merchants put on one of the biggest sidewalk sales you’ll ever see! 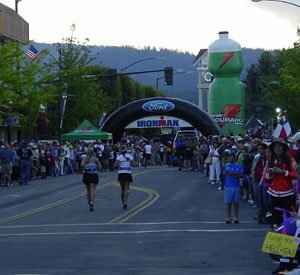 The Ford Ironman Triathlon came to Coeur d’Alene several years ago and the community shows how support is done! The city boasts the highest athlete to volunteer ratio (3 volunteers to every athlete) in the world! We gladly continue to support these amazing athletes who come to our town and show us what dedication and determination can do! The St. Marie’s area takes time every year to honor their local hero in the Paul Bunyan Days Celebration. Complete with parade this is a true slice of Americana. North Idaho offers fantastic winter activities. Skiing is excellent all over the Idaho Panhandle but this is only part ot the story. 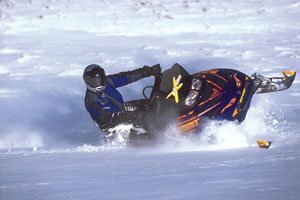 Enjoy snowmobiling, snow shoeing, sledding, ice skating. There are winter carnivals throughout the area such as the Sandpoint Winter Carnival in January. The City of Coeur d’Alene celebrates the beginning of the holiday season with a parade down “main street,” tree lighting and fireworks display over the lake. Holiday events take place in Wallace, St. Maries, Harrison, just to name a few. 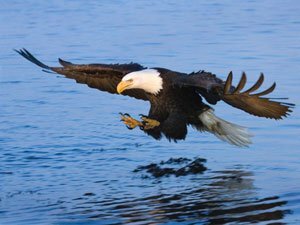 In November, we are blessed as the annual migration of bald eagles passes through North Idaho. They hang around and enjoy Lake Coeur d’Alene from around mid-November to Mid-January. It is awe inspiring to watch our nation’s symbol in flight, in the wild, enjoying nature in its majesty!